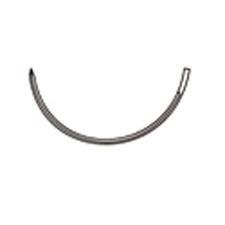 Left-curved instrument with a small ball on instrument tip for the periodontal debridement of furcations and concavities. 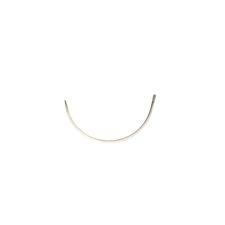 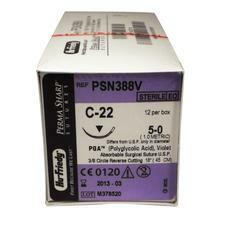 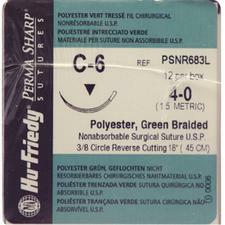 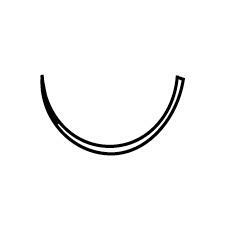 Perma Sharp PGA Sutures - C-22, Absorbable, Violet Dyed, Braided, 12/Box - Reverse Cutting 3/8 Circle Needle, Size 4-0, Length 18"
Perma Sharp Plain Gut Sutures are designed for efficient and reliable soft tissue closure for all types of dental surgeries. 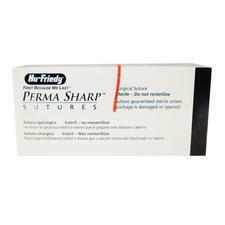 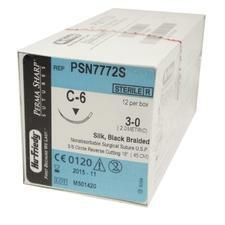 Perma Hand Silk Black Braided Sutures - Nonabsorbable, FS-1, Reverse Cutting, 3/8 Circle Needle, 12/Box - Size 4-0, Length 18"